Three words that are usually associated with a lot of energy and time – whether it comes to home improvement or home gardeners. This need not be so, because with the stilts from our “consumer line”, you can now work even better and faster than many professional craftsmen who relies more on his old, dusty head. What is the great advantage of our Consumer Line stilts? You can move as flexible as your own two feet, but easily get to all places that you normally only reach with a ladder, for example, at the ceiling or at the top of the garden hedge. And as you probably know, the Afterward hauling a ladder is quite tedious and time consuming. 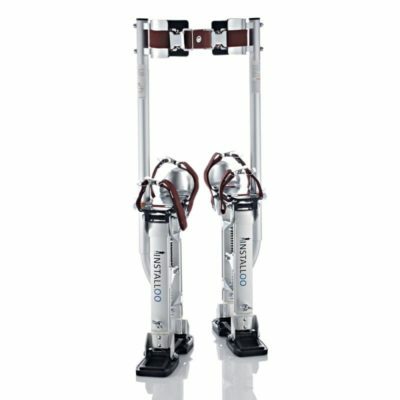 In this sense: Sell your head at a garage sale and put the future of the consumer line of high quality aluminum stilts. DIY: dress painting, ceiling, lamps fit, Changing bulbs etc. Home Gardener: cutting hedges, trim trees, picking fruit, etc. Sport & Fun:Some of our customers use the stilts »Consumer Line” also sport or during leisure time for amateur artists. Tip: If you’re thinking: “That’s not for me, I never learn” – then you can convince them otherwise: Walking on stilts is our easy to learn and experience, in about 5 to 15 minutes.